This book offers short devotional chapters covering key principles for men who desire to walk the right path of godly manhood. A godly man knows Christ, has a Christian worldview, lives under the Lordship of Jesus Christ, is aware of the temptations in his life and fights hard against them, desires to grow in his faith, exercises biblical wisdom and discernment, and follows his Lord wherever he may lead. These are the themes that run throughout these devotions. Before making it to this book, these chapters were sent out as devotional emails over the course of a year to encourage and equip men to walk the path of godly manhood. Each of these 52 chapters contains a devotional based on Scripture, questions for reflection and next steps, a prayer, and prayer prompts to help guide you in your prayer life for that week. This devotional can be used for personal time spent with God, as well as a resource for discipling other men, or to use in your small group. You can learn more about it or buy it here, at Lulu.com. True discipleship is not easy. Often a person's response to tough times and hard teachings reveals their actual motives in following Christ. Christian history is littered with those who could not or would not stay true to the end. But before we cast judgment on them we better take a long, hard look in the mirror and recognize the grace of God that stares back at us. It is only in his strength that we can stand firm. But stand firm we must, for God’s glory and for the good of our world. While we become new creatures in Christ by grace alone through faith alone in Christ alone, following Jesus day in and day out is hard. That’s why Jesus said we must first count the cost before we begin our pilgrimage with him. 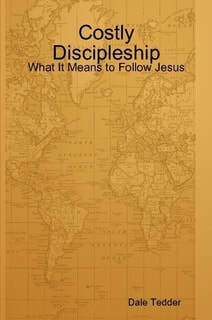 This is an expositional study of key texts of Jesus’ teachings that remind us of what it truly means to follow him. This study is ideal for Bible studies, small groups, one-to-one discipleship, or personal use. You can buy it here, at Lulu.com. In the Bible, the word “walk” or “walking” is often a metaphor for one’s faith and relationship with God, as well as a right pattern of living. The purpose of the Walking Points Series is to help followers of Christ draw from Scripture, those key truths and ideas that will help them walk faithfully with him – that is, know him better, love him more, become more like him, and follow him more faithfully. Each lesson moves chapter by chapter, verse by verse, drawing from the text that which God has revealed. After a “bird’s eye view” question is asked, to get the big picture of the text, the questions that follow hone in on particular verses, in order to draw out key truths and ideas related to those verses. This ten-lesson study of Paul's letter to the Philippians is ideal for Bible studies, small groups, one-to-one discipling relationships, and personal use. You can buy it here at Lulu.com. Have you ever found yourself frustrated during prayer? Maybe you start out praying for your family and then run out of things to pray about. You know there’s more to prayer than this, but don’t quite know how to move forward in your prayer life. This Prayer Journal is for you. 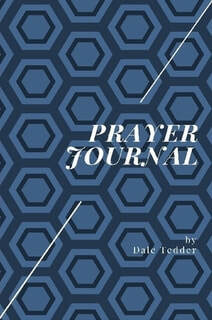 Let this journal serve you as you explore greater depth in your prayer life with God. Through Scripture, prayers, and prayer prompts, this journal can help guide you in growing closer to God and encourage you to bear more fruit in your prayer life. ​You can order it by clicking here. There are many things we may "hope for." We hope for pleasant weather, good health, the well-being of loved ones, or even our favorite team to win the big game. It isn't necessarily wrong to "hope for" such things. ​However, we never want to "hope in" such things. Instead, we want to place our temporal and eternal hope in the One who is the same yesterday, today, and tomorrow. Our hope should be in God alone, for only God is worthy of such trusting confidence. ​I "hope" you will find these devotions encouraging to you. I pray they will inspire and equip you to place and maintain your hope in our Lord, in and through all the varied circumstances of your life. If you would like to learn more about this book, or purchase it, please click here to order it from Lulu.com. ​This Spiritual Life Checkup is a spiritual inventory, composed of questions for self-examination as well as devotionals for encouragement and direction. Completing this will not magically or instantaneously make you like Christ. It will, however, give you some indication of how you’re doing on your spiritual journey with Christ and point you to some areas in which you may want to pursue greater growth and depth. This booklet can be used in small groups, one-to-one discipleship, a church membership class, or for your own personal devotional time. ​If you would like to learn more about this booklet, or purchase it, please click here to order it from Lulu.com. A godly man is like a fruitful tree because he is continually nourished by streams of fresh water. The water, Psalm 1:2 says, is the Law of God, which the man delights in and regularly meditates upon. Unlike the seed in Jesus’ parable which is sown on hard ground or among thorns, this man’s faith does not dry up and wither away, nor is it choked out by the worries or distractions of this world. Instead, the godly man bears fruit, not for himself, but for others. To slightly change the imagery, Jesus taught in John 15 that he is the vine and we are the branches. As godly men, we must abide in him and he in us, otherwise, we cannot bear any fruit of Kingdom-significance. Our life-giving, life-transforming sustenance comes directly from him, thus we must remain connected to him if we would have real life and bear fruit. Just as we would not build a skyscraper without first making sure the foundation could support it, neither should we call men to pursue godly lives without first giving them the only means of success. Jesus said we must abide in him, because apart from him, we can do nothing. Telling a man how to live a godly life without first sharing with him the divine resources for doing so, is to set him up for failure. The purpose of this book is to provide men with the foundational principles they need to pursue a godly life that glorifies God and blesses others. I hope it will be profitably read, meditated upon, and discussed in personal devotions, one-on-one discipling settings, and in men’s small groups. ​You can click here to order it from Lulu.com.